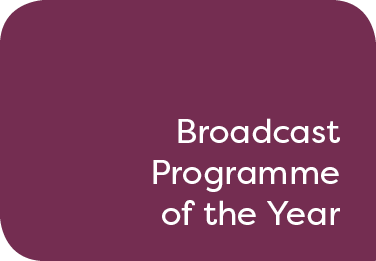 The Programme nominated will be a television, radio or online programme broadcast in the UK between 18 May 2018 to 18 May 2019 on a major network or channel (excluding YouTube and Vimeo). Nominees should submit by email the URL of the nominated programme, or if a series, a programme from within the series which, in their view, represents the series as a whole. If the programme has to be submitted as an CD or DVD, the nominee should send 6 recorded copies on CD or DVD of the nominated programme to Natalie Jackson at APL Media, Unit 310, Highgate Studios, 53-79 Highgate Road, London NW5 1TL. Nominees may also submit their work as an mp3 (audio) or mp4 (video) file. Files less than 8mb in size may be submitted by email. Files larger than 8mb should be sent to entry@travelmediaawards.com using wetransfer.com or a similar online transfer service. Submissions may include a one-off programme or a series of programmes including features, documentaries, interviews or phone-ins. Judges are looking for a programme which demonstrates thought-provoking and entertaining story telling skills bringing a destination, an experience or an event to life.